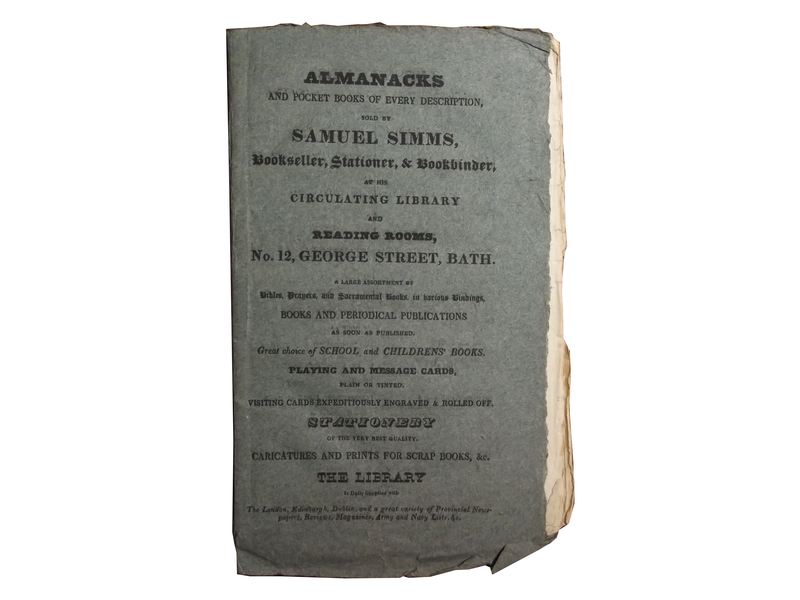 Some time ago (February and March 2015), I posted a couple of notes about ‘sombre’ bindings, one of the areas of interest here at ZHQ. 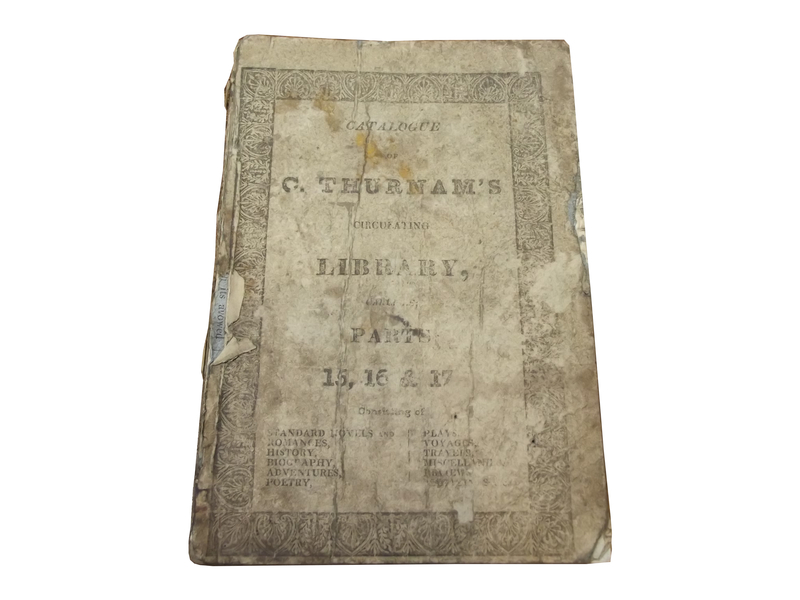 The March post was mainly about the engraved, on silver plates, edition of a Common Prayer by John Sturt. 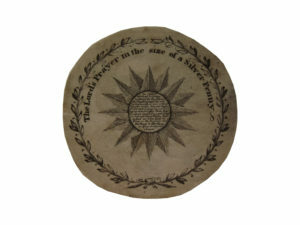 At the recent PBFA Cambridge book fair, we found an engraving of the Sturt Silver Penny for sale with James of Alastor Rare Books – www.alastorrarebooks.com – now happily ensconced inside the Common Prayer. 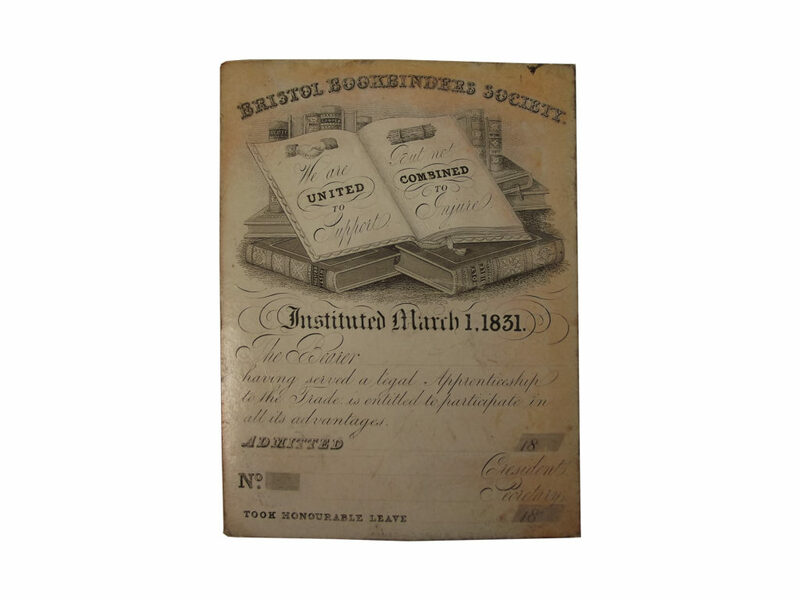 The above apprenticeship indenture was purchased recently to go into the biblio-ephemera collection here at ZHQ. It is from February 1861 and apprentices William Gladwin, of 19 Arthur Street Derby, to Richard Keene of the Iron Gate, Derby, printer and bookseller, for a period of seven years to learn the art of printer, compositor and bookseller. 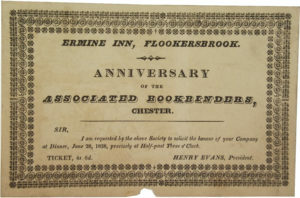 A front board advertising Aikin’s Circulating Library of Lynn, (presumably Kings Lynn, Norfolk), c. 1818, with the terms of subscription and a charge slip for non-subscribers. 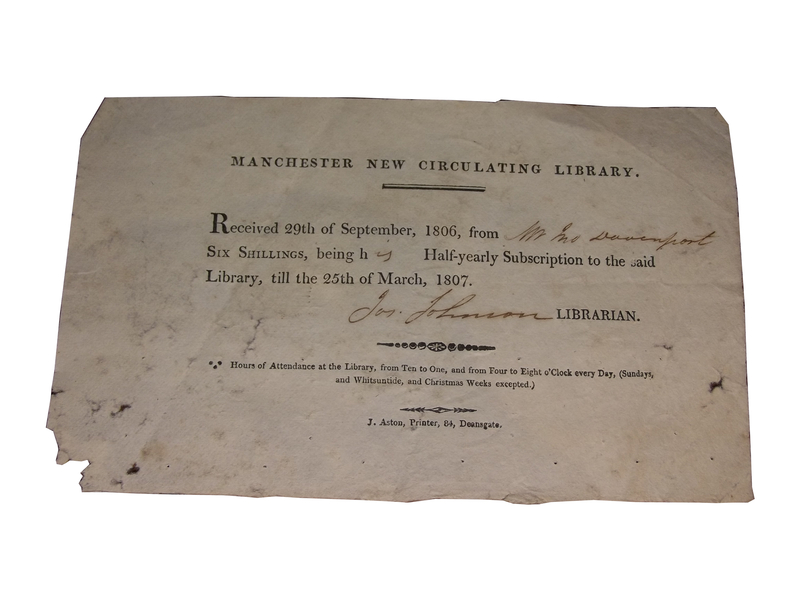 An uncommon example of a circulating library catalogue – Thurnam’s of Carlisle 1827, Parts I-XIX, a total of nearly two thousand works, a decent sized circulating library if we compare this to the figures listed in Allan’s ‘A Nation of Readers’ (Table 4.1) – parts were added to the catalogue as new books became available; John Turton had a copy of Thurnam’s catalogue to part XXVI in a 2013 catalogue. 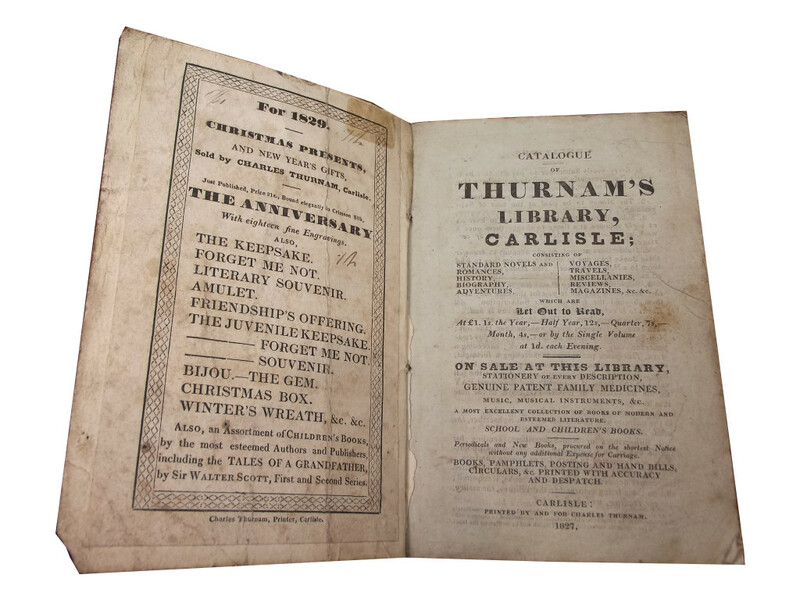 Thurnam’s ‘let out to read’ books at £1, 1s a year; 12s half a year, 7s a quarter, 4s a month, or by single volume at 1d each evening, though “the proprietor will sometimes be necessitated to charge a trifle additional for expensive works”. 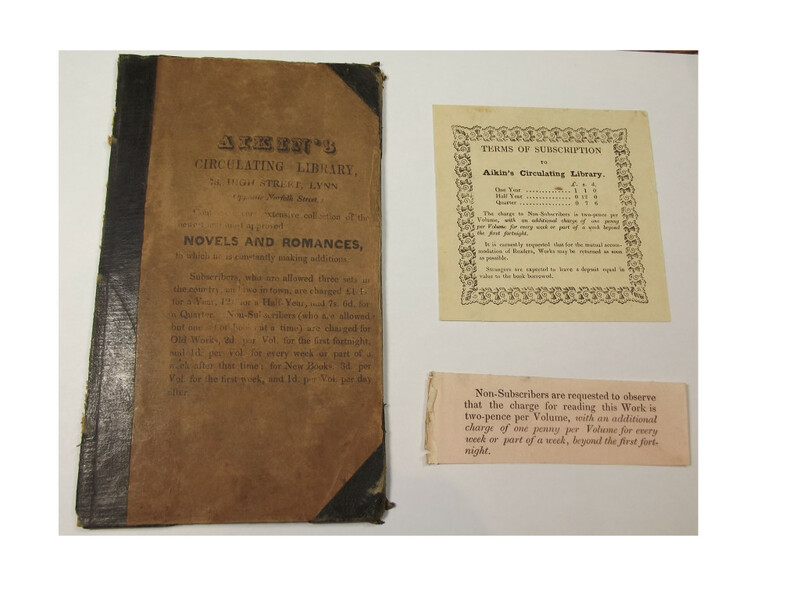 The books are mainly fiction, which led to worries about the influence of circulating libraries, indeed the chapter on circulating libraries in Allan is titled ‘Inlets of Vice and Debauchery’, opening with a wonderful quote by Cooke, “how many young people, especially girls, often procure, and sometimes in a secret manner, books of so evil a tendency, that not only their time is most shamefully wasted, but their morals and manners tainted and warped for the remainder of their lives”. 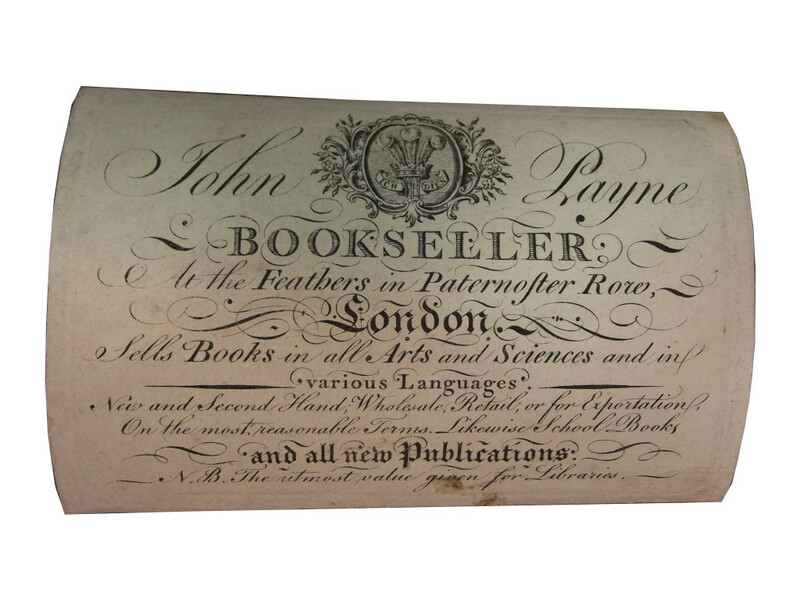 A handsome mid-late eighteenth century booksellers label, John Payne ‘at the Feathers in Paternoster Row’. 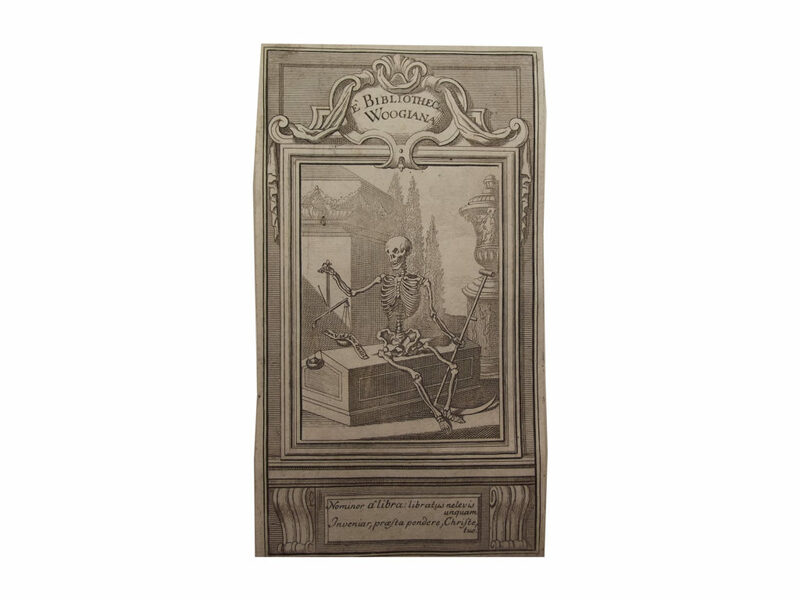 One of the larger examples (100mm x 70mm) in size, attractively engraved. 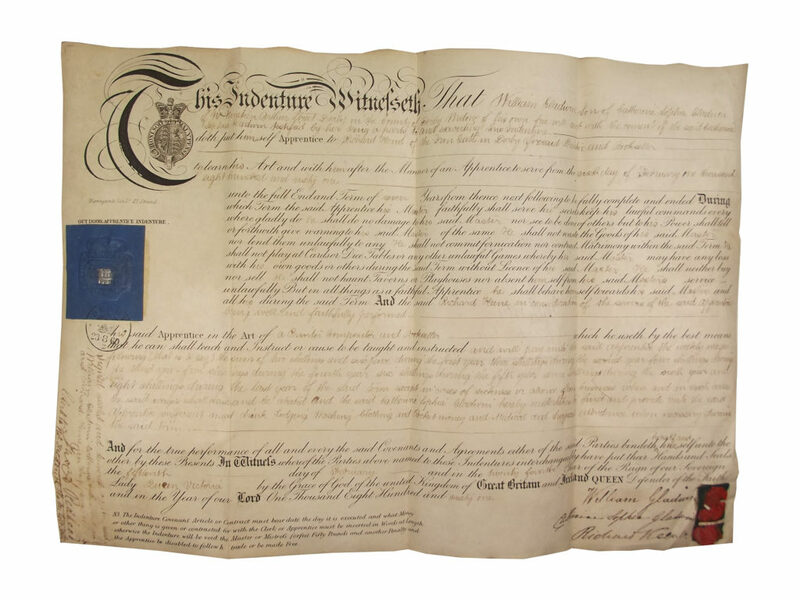 The BBTI shows Payne as working between 1744-1787, at four different addresses all on Paternoster Row. 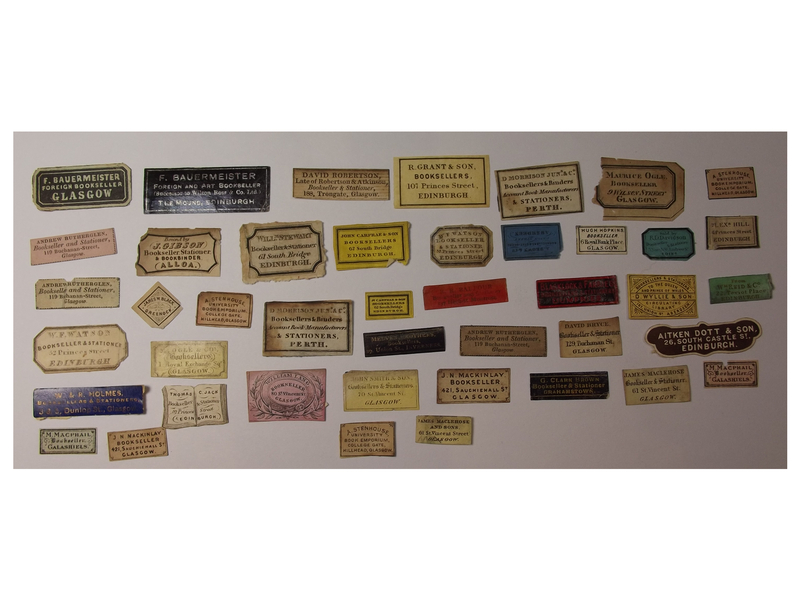 He was at 15 Paternoster Row between 1752 and 1758, then at ‘Pope’s Head’, followed by the Feathers and finally at 54 Paternoster Row. 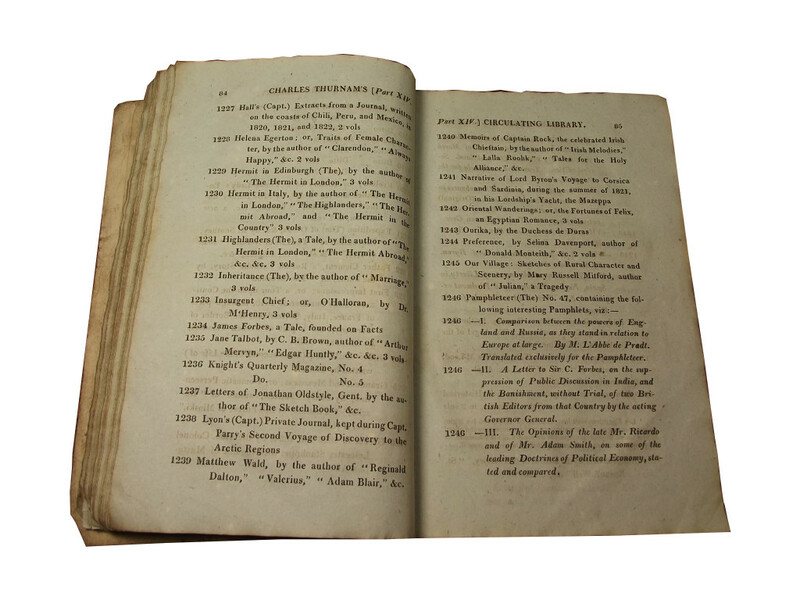 Raven, in his ‘The Business of Books’, notes that Payne, who was a friend of Dr. Johnson’s, moved to the Feathers in 1765 and moved to 54 Paternoster Row in ‘about’ 1767 – Confusingly there was another John Payne in Paternoster Row, the business partner of Joseph Johnson who later published Paine, Godwin and Wollstonecraft.